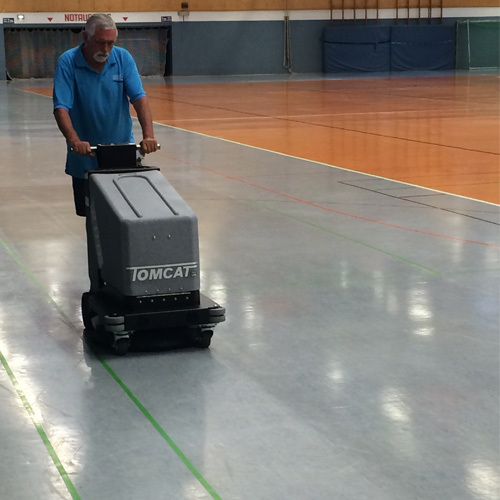 The Tomcat 200 Walk-Behind Floor Burnisher is a battery powered machine that is powerful and durable. 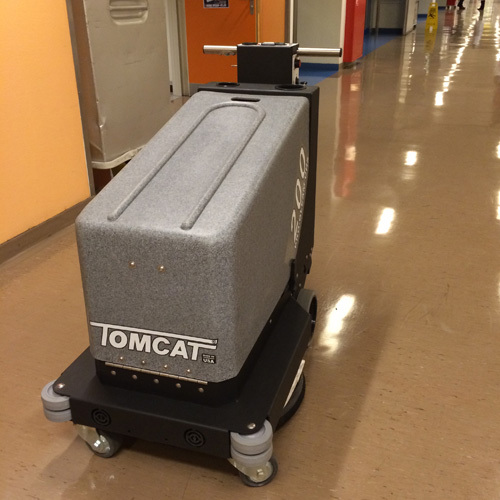 The construction of the Tomcat 200 is well-built and the compact design allows for operation in close quarters. 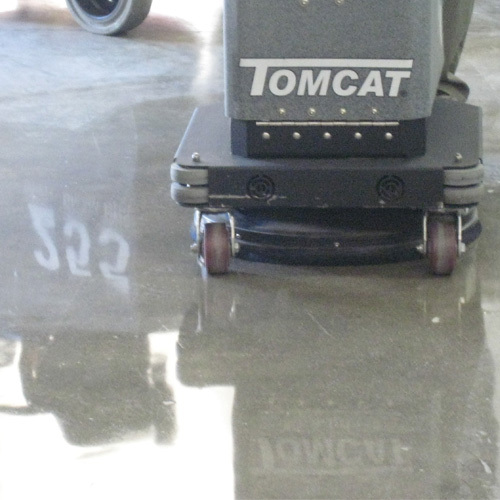 Say goodbye to mopping dust after buffing floors. 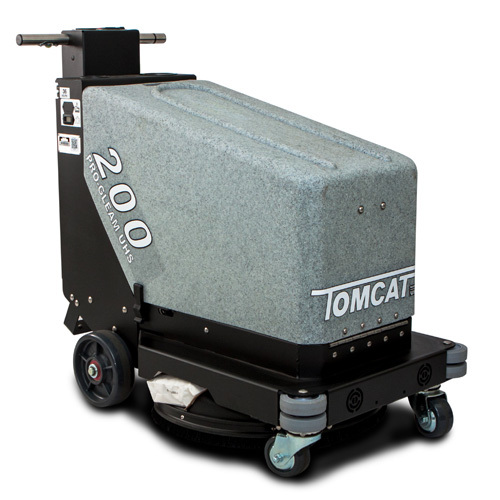 Every Tomcat 200 Walk Behind Floor Burnisher comes equipped with standard dust control. Simply toss out the easily removable dust bag from the machine and replace it with another from the built-in bag storage. 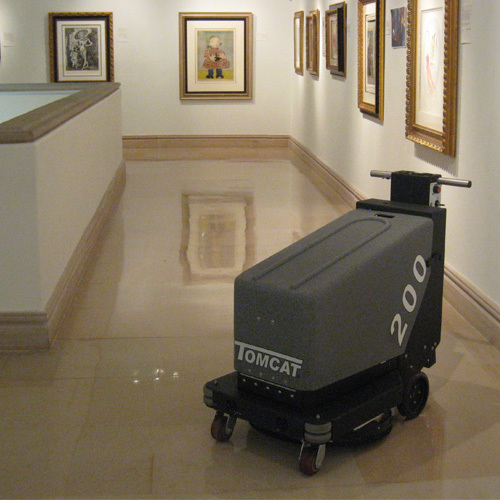 The Tomcat 200 is available with two different drive methods. Eliminate almost all need to push with the Pad-assist drive or simply use the Traction Drive unit. 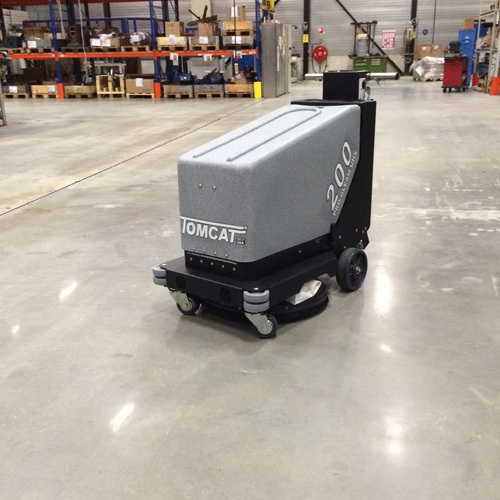 The 200-T (Traction Drive) is nice because there is no maintenance required and is completely sealed. Make buffering easier and more enjoyable with low maintenance and the ability to climb ramps at a breeze. Rear Axle Capacity: 1200 lbs. Rear Wheels (non-marking): (2) 8"x 2"
Front Wheel (non-marking): (2) 4"x 2"
Weight (w/out batteries): 274 lbs. Weight (w/ batteries): 602 lbs. 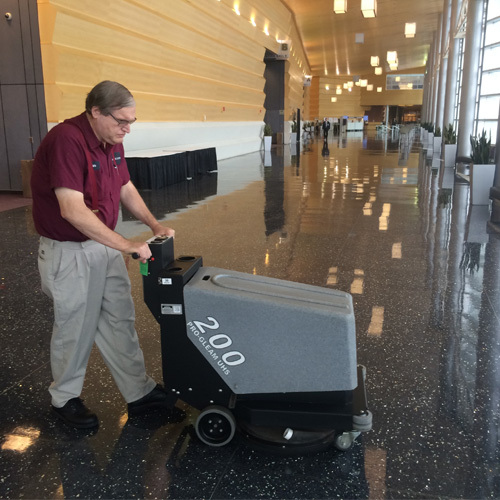 Cleaning Rate/ Hour (max): 35,248 sq.ft./ hr. Cleaning Rate/ Hour (norm. ): 24,421 sq.ft./ hr. Minimum Aisle for U-Turn: 46"